Jenna Jones faces her fortieth birthday newly divorced from a cheating jerk of an ex to whom she is required to pay spousal support since her work as a massage therapist was the chief support of the family. She is dealing with tight finances, a fourteen-year-old daughter in need of a major attitude adjustment, and a sense of failure. Jenna is in drastic need of a new start. When she receives an invitation from her great-aunt to move to Moonlight Harbor, Washington, and help her run the Driftwood Inn, which she plans to leave to Jenna in her will, it sounds like just what Jenna needs. Over her daughter Sabrina’s protests, Jenna packs up and sets out for the beach town. She has good memories of childhood visits to Moonlight Harbor and high hopes for her new life. What she finds is an outdated inn in need major work and with limited funds available for renovations. Jenna wants to revamp the inn, but she wonders if she is aiming for the impossible. A local real estate agent advises Jenna that the wisest choice is to forget renovations and sell instead, but others are more optimistic. With a little help from fellow business owners and new friends, including an attractive, somewhat mysterious newcomer to Moonlight Harbor, the impossible looks doable. But just as things seem to be working out, the parasitic ex appears to cause problems with finances and with Sabrina. Will the Driftwood Inn become just another memory of Moonlight Harbor’s past? 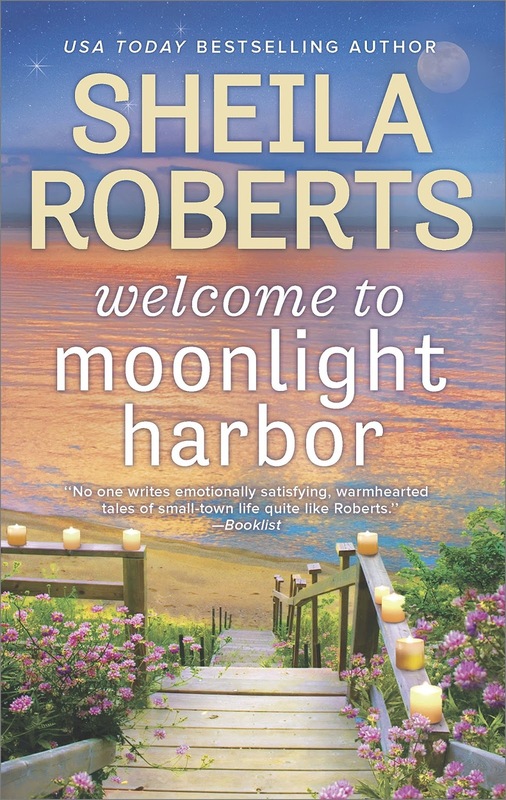 Sheila Roberts inaugurates a new series with Welcome to Moonlight Harbor. The new series has all Roberts’s trademark qualities that made her long-running Icicle Falls series so popular with fans of the small-town romance: character-based humor, a large cast of quirky, appealing characters, and a strong community vibe. Jenna is a likable, sympathetic character who handles the blows life deals her with humor, grace, and small degrees of grumpiness and self-pity. Stellar supporting characters include Jenna’s mother and sister as well as the octogenarian Aunt Edie, her parrot, Jolly Roger, and the rest of the Moonlight Harbor contingent. Sabrina sometimes comes across as a spoiled brat, and some readers may feel that her mother needs to take a firmer stand with her. Others may see her behavior as fairly typical of a teen dealing with the break-up of her parents’ marriage and the resulting changes to her world. Romance readers should be aware that this novel does not offer a clear-cut HEA. The story includes a triangle, and it is not fully resolved. It continues in Holidays at the Harbor (October 23, 2018), the second book in the series. Roberts has also said that Jenna’s sister Celeste will get her own story. 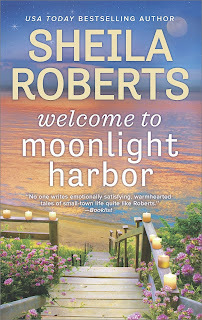 If you have enjoyed other books by Sheila Roberts or if you like small-town romance laced with humor, colorful characters, and a setting that is anything but generic, I predict this first book will leave you eager for more of Moonlight Harbor. I normally hate cliffhangers but enjoy Sheila Roberts' work so I might give it a try. I've been thinking about the ending, and I expect that it will become more a delayed HEA than an HFN once the story arc is complete.